Imagine retreating to stunning Scottsdale in an accommodation with high-end amenities and all the comforts of home. This experience is possible with luxurious timeshare accommodations in top resorts throughout Scottsdale. With a timeshare suite, you get incredible amenities for total comfort and convenience while you enjoy a vibrant getaway. Most units feature full kitchens, spacious living areas, private bedrooms, multiple bathrooms, and even private balconies. For years, timeshares have been thought of as higher-end, expensive accommodations, not suitable for the budget traveler. This all changed in 2003 when SellMyTimeshareNow.com disrupted the current marketplace and devised a solution that would make these wonderful accommodations available to vacationers of any budget. 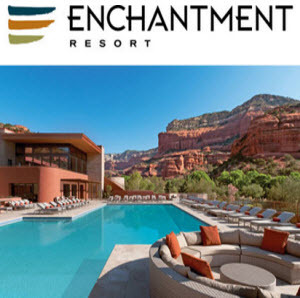 On SellMyTimeshareNow.com, travelers can browse an extensive inventory of Arizona timeshare rentals and discover how affordable these spacious accommodations can be–many offered at prices cheaper than average area hotels! You’ll find Scottsdale lodging at popular resorts like Sheraton Desert Oasis and Westin Kierland Villas. Sheraton Desert Oasis offers a beautiful retreat with the Sonoran Desert as its background. This stunning property offers plenty of opportunities to go on excursions and explore the Arizona countryside by horseback, foot, or Jeep. The resort also offers a 4,500 square foot swimming pool complete with a cascading waterfall, grotto, and sundeck with a cabana bar. Westin Kierland Villas boasts a wealth of amenities for guests to enjoy such as three on-site 9-hole golf courses, rejuvenating massage treatments, the WestinWORKOUT state-of-the-art fitness studios, guided horseback riding tours, and sparkling swimming pools complete with waterfalls and waterslides. Timeshares in Scottsdale are available at these resorts and so many others. While accommodations vary by property, most are well-equipped with features such as full kitchens, washers and dryers, plush furnishings, private bedrooms, and views of pools, deserts, and even golf courses. On-site, Scottsdale timeshare resorts often have swimming pools, spa services, hot tubs, lounges and restaurants, and access to a wide variety of local excursions. You don’t have to compromise luxury for price with SellMyTimeshareNow.com. Take advantage of our affordably priced Scottsdale timeshare rentals and get more for less out of your next vacation. Vacation better and more affordably with our help! Our independent timeshare rental specialists are here and ready to assist you with finding your ideal accommodations. Visit SellMyTimeshareNow.com or call us at 1-877-815-4227 for more information regarding Scottsdale timeshare resorts. Todd Navin – Owner and Publisher of Navin Media Group. Mr. Navin has launched several successful websites in the Scottsdale area including OldTownScottsdale.com and UpTownScottsdale.com and the "NEW" addition to the family - Back Pocket Guide. The printed "Scottsdale Dining Edition" will be available for the Winter 2016. UpTownScottsdale.com was created with the goal of becoming the leading online resource for the 3.8 million people living in “The Valley of the Sun” and the 9.1+ million who visit the Scottsdale area each year. UpTownScottsdale.com’s mission is to be the ultimate provider of relevant and current information in North Scottsdale, reflecting our passion and desire to help people enjoy Scottsdale to its fullest. We here at UpTownScottsdale.com are consistently adding new services and features to help our audience find the goods and services they are looking for throughout Scottsdale. UpTownScottsdale.com has been able to attract a growing roster of leading brands to work with us in reaching our audience. As we continue to grow, we continue to look for new partners who can benefit from reaching our audience.